To claim this profile, please confirm you are Michelle Reynoso. To follow this profile, please let us know your relationship to Michelle Reynoso. Michelle's basketball stats have been updated for the loss vs. Xavier Prep. The St. Pius X-St. Matthias Academy varsity basketball team lost Thursday's home playoff game against Xavier Prep (Palm Desert, CA) by a score of 55-43. RESULTLoss Girls varsity basketball @ St. Genevieve. The St. Pius X-St. Matthias Academy varsity basketball team lost Thursday's away conference game against St. Genevieve (Panorama City, CA) by a score of 43-25. Michelle's basketball stats have been updated for the win @ Mary Star of the Sea. RESULTWin Girls varsity basketball @ Mary Star of the Sea. The St. Pius X-St. Matthias Academy varsity basketball team won Tuesday's away conference game against Mary Star of the Sea (San Pedro, CA) by a score of 49-45. Michelle's basketball stats have been updated for the win vs. South El Monte. RESULTWin Girls varsity basketball vs. South El Monte. The St. Pius X-St. Matthias Academy varsity basketball team won Saturday's neutral non-conference game against South El Monte (CA) by a score of 55-44. Michelle's basketball stats have been updated for the win @ St. Bernard. RESULTWin Girls varsity basketball @ St. Bernard. The St. Pius X-St. Matthias Academy varsity basketball team won Tuesday's away conference game against St. Bernard (Playa del Rey, CA) by a score of 50-40. RESULTLoss Girls varsity basketball vs. Millikan. The St. Pius X-St. Matthias Academy varsity basketball team lost Monday's neutral non-conference game against Millikan (Long Beach, CA) by a score of 69-27. Michelle's basketball stats have been updated for the win @ Pomona Catholic. RESULTWin Girls varsity basketball @ Pomona Catholic. The St. Pius X-St. Matthias Academy varsity basketball team won Thursday's away conference game against Pomona Catholic (Pomona, CA) by a score of 43-11. Michelle's basketball stats have been updated for the loss vs. St. Genevieve. RESULTLoss Girls varsity basketball vs. St. Genevieve. The St. Pius X-St. Matthias Academy varsity basketball team lost Tuesday's home conference game against St. Genevieve (Panorama City, CA) by a score of 37-34. Michelle's basketball stats have been updated for the win vs. Mary Star of the Sea. The St. Pius X-St. Matthias Academy varsity basketball team won Thursday's home conference game against Mary Star of the Sea (San Pedro, CA) by a score of 32-22. 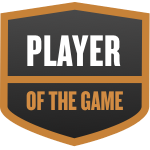 Michelle was selected the Player of the Game in the basketball game against St. Bernard on Sat, Jan 05 2019. Michelle Reynoso had a fantastic defensive effort in leading the Warriors to the Santa Fe League victory. Michelle's basketball stats have been updated for the win vs. St. Bernard. RESULTWin Girls varsity basketball vs. St. Bernard. The St. Pius X-St. Matthias Academy varsity basketball team won Saturday's home conference game against St. Bernard (Playa del Rey, CA) by a score of 36-34.